Astigmatism can lead to headaches, blurred vision, and other irritating symptoms. 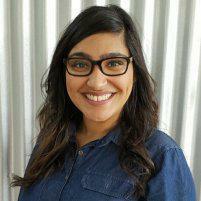 At Pack Optical in Fort Worth, Texas, Alisha Poonawala, OD, is a skilled optometrist who provides effective treatments, including glasses, contact lenses, and referrals for refractive surgery. Dr. Poonawala believes you deserve to view the world clearly. Get started with your comprehensive eye exam by calling or using the convenient online booking tool. Children might not notice their vision is blurry and should stay up to date with their recommended eye exams. This way, Dr. Poonawala can detect any signs of eye disease and eye-related problems as soon as possible. Astigmatism is generally treatable. The condition happens when your cornea — the front surface of your eye — and the lens inside your eye have mismatched curves. When the light rays aren’t bent properly, this can cause eye discomfort, headaches, and blurred vision at all distances. Astigmatism might be present from birth, or it can develop following a disease, an injury, or a surgery. In some cases, blurred vision can be a result of inflammation of the eyes, often attributed to an underlying medical condition or an allergy. Dr. Poonawala will evaluate your eye health to determine if you have astigmatism. If you do have astigmatism, she’ll devise an individualized treatment plan to improve your eye health and correct your vision. Dr. Poonawala diagnoses astigmatism during eye exams. Your eye exam will likely involve a series of tests with various instruments used to check your eye health and determine how your eyes bend light. Treatments can include corrective lenses or surgery, such as LASIK. The main priority when treating astigmatism is to improve vision clarity and eye comfort. Corrective lenses, such as contact lenses and eyeglasses, work to counteract the uneven curvatures of your lenses or corneas. During LASIK or corrective refractive surgeries, a laser beam reshapes the curves of your corneas to correct the refractive error. Even if your vision is only slightly blurred, it can still impair your cognitive functioning and lead to headaches and pain. To treat your astigmatism and boost your eye health, book an appointment online or over the phone with Pack Optical today.